On August 21, 2017, North Americans will be able to see an eclipse of the sun. But depending where you are, you may be able to see something even better: a total solar eclipse, in which the sun’s corona will appear like a halo around the moon when it passes in front of it. 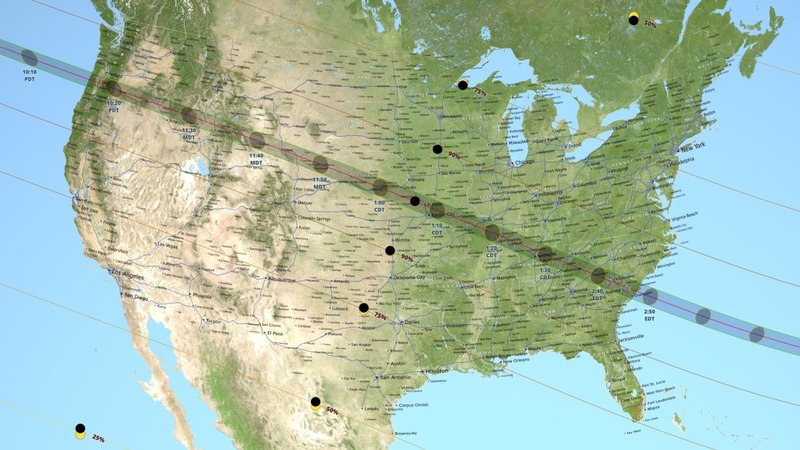 NASA has dedicated an entire site to help people get ready for the rare total solar eclipse, including an awesome map that shows where and when you need to be in America on August 21 if you want to witness one of the most beautiful natural events in our solar system.